After serving the Greater Central New Jersey area for over 25 years, we are expanding to serve the special needs community on a national scale! With our new vision, we have reinvented Challenged Youth Sports as "RallyCap Sports" and set out to start chapters across the country. If you want to sign up for a sport, or be a volunteer teen or adult coach for our Lincroft, NJ Chapter, please click HERE for that website. 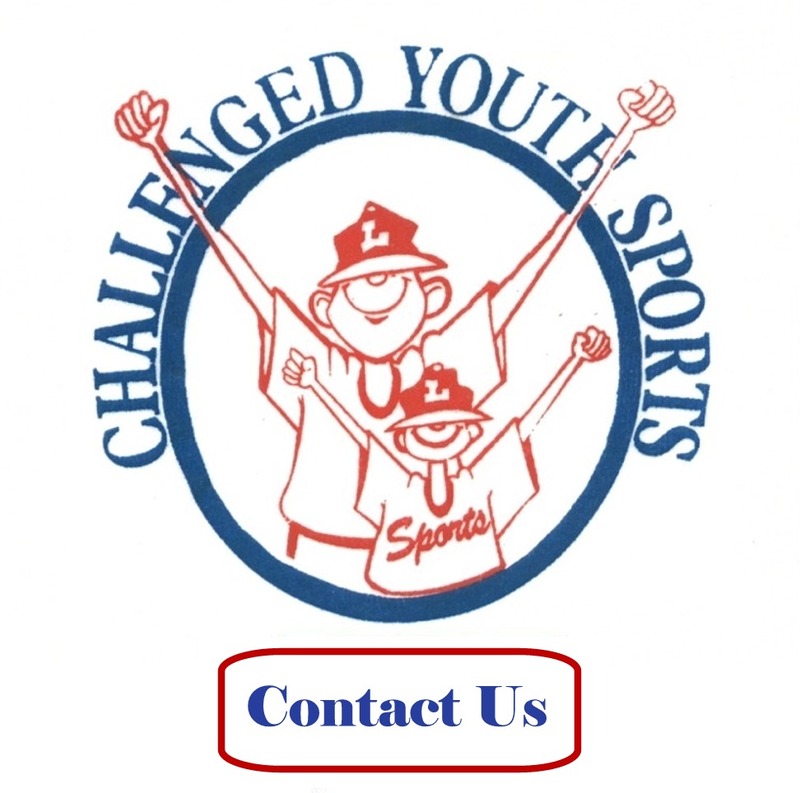 Challenged Youth Sports began in 1990 in Lincroft, New Jersey as a recreational sports program for children with disabilities. The program is totally volunteer based, using caring adults and wonderful teenagers from our community. Our objective is to provide recreation for the children while fostering an environment for positive reinforcement through recreational sports. We are recognized as a 501-C-3 non-profit organization. 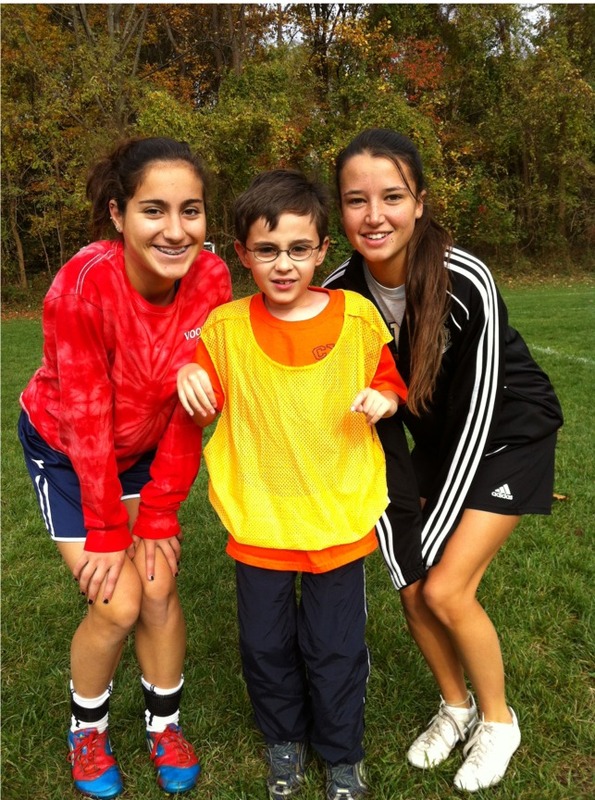 Our program began with 20 children in 1990 and now has more than 150 participants playing Soccer and Flag Football in the Fall, Basketball in the Winter, Tennis and Little League Softball in the Spring, and Golf in the summer. We also host dances at Valentine's Day and Halloween. Click here to see a recent Asbury Park Press article showing some of our players in action. 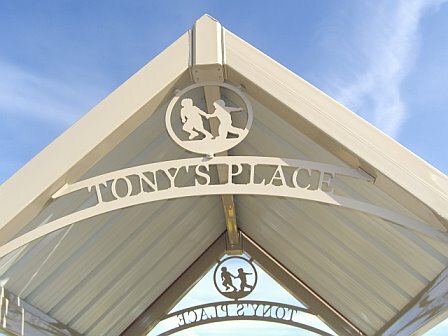 We completed our first playground (click on Our 1st Accessible Playground tab on the left to see it) in June 2004 and we completed our second playground, Tony's Place, in November 2009. 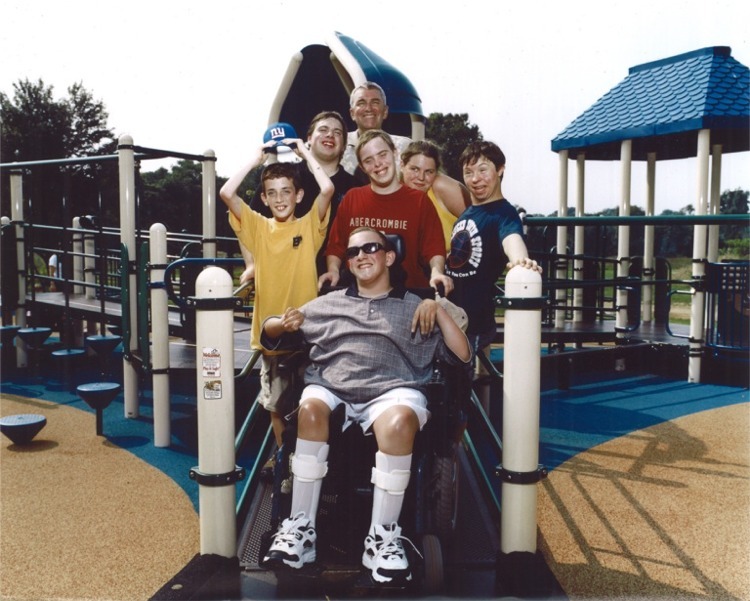 These are fully accessible playgrounds for children of ALL abilities. 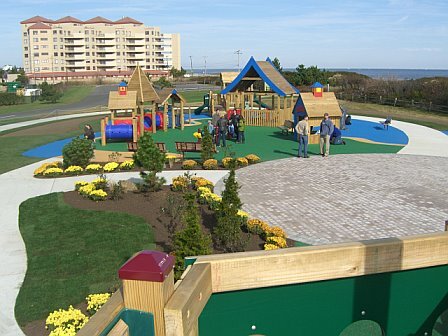 Both of these playgrounds were built with the assistance of the wonderful people at the Monmouth County Parks System. Six players and golf pro instructor Brian Bevins from CYS participated in the Ernie Els #GameON Autism Golf Clinic today at TPC Jasna Polana in Princeton, NJ. 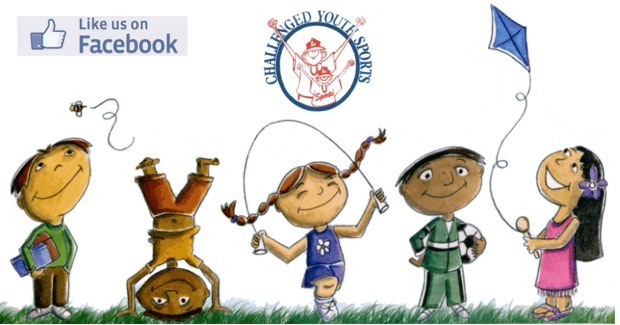 Challenged Youth Sports is 100% volunteer. Due to the growth of our program we are always looking for more volunteers. If you are interested in helping out, please send an email to info@cysp.org with your contact information so we can add you to our email list. GOLF - Tuesday evenings in July and August at Quail Ridge Golf World on Route 34 North in Wall. FLAG FOOTBALL - Saturday afternoons in September and October at Middletown High School South. LITTLE LEAGUE - One evening a week and every Sunday from the Beginning of April to Mid June at the Lincroft Little League Complex. BASKETBALL - Saturday mornings in January and February at Middletown High School South and Thompson Middle School. TENNIS - Saturday mornings in April and May at Tindall Park in Middletown. CHEER - Once a week in January and perform at some games in February. DANCERCISE - Saturdays in March and April. ICE SKATING PARTY - Held in the Spring on a weekend at the Red Bank Ice Armory Complex in Red Bank, owners Leslie and Doug Brooks generously donate the ice time. 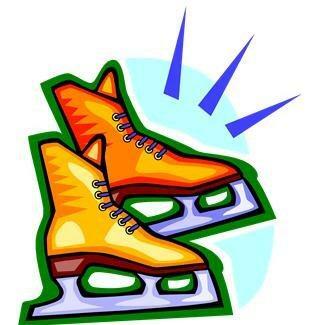 Local high school hockey players volunteer to help our children skate, many of them for the very first time. VALENTINE'S DAY DANCE - Held on a Saturday evening close to February 14th, our dance takes place at the Croydon Hall Senior Center in Middletown. This FREE celebration for the kids in our program includes food, refreshments and an amazing DJ that has everyone on their feet dancing the night away. HALLOWEEN DANCE - Held on an evening close to Halloween, this celebration takes place at the Croydon Hall Senior Center in Middletown. The kids (and parents too!) dress up in costumes and have a blast dancing to their favorite DJ. This FREE party for our kids also includes food and refreshments.